Go, Tracy, Go! : Happy New Year! This year, to celebrate, I'm going to a 10:30pm bikram yoga class on New Year's Eve. I will spend midnight in savasana. The next morning, at 11am on new year's day, I will do a long run. I kind of can't wait. 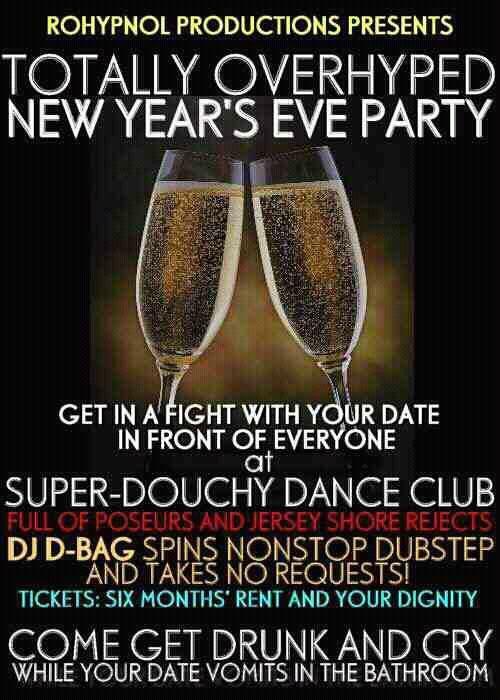 Going out on NYE is totally overrated, am I right? I'm contemplating whether or not to issue a challenge to myself for the new year. One of my friends gives herself a cooking type challenge each year - if you're into meat and want to be impressed, read her posts from last year on doing things like making her own sausage from scratch. Another good friend has set the goal of doing a half marathon each month. Part of me thinks that giving myself a challenge could give me some focus in the new year. The other part of me thinks that it would just set me up for disappointment when I inevitably abandon the challenge partway through the year. What I do know is that I don't want it to be vague, e.g. "get more fit." That's a recipe for disaster for me. I work much better with specific goals. Oh! I do have one exciting thing I'll be preparing for throughout 2012. Dawn and I have decided that we're doing the Chattanooga Stage Race in 2013. I'm not sure that preparation involves anything more than "run a lot, often back to back long runs," but I should probably throw as much trail running as is feasible into the mix. If I wasn't so completely over the state of Tennessee (seriously - how many races do I need to run there? ), I'd consider this race in May. But the North Face Endurance Challenge Bear Mountain is easier and local, so it will probably get my race registration fee. If you have any thoughts on the idea of a challenge for the new year, do let me know. Is anyone doing anything like that? I like the idea of that yoga class. 2012 will NOT be another year in meat for me, that's for sure! Those hot dogs did me in. I'm thinking about doing a different type of Asian meal every month, or else cooking my way through a cookbook, maybe a combination of those two. That, and running 1000 miles. I will think about 2012 challenge suggestions for you. What about committing to making a fresh vegetarian meal for yourself once a week (or twice a month, or whatever you can do)? Or doing something you have never done once a month? I wish I was in Chicago, I would totally do that midnight yoga class. Ah well, another year! Hey, I just realized, you signed up to take some KRAV MAGA classes..that should count towards something for 2012 right?! I was interested to hear of Renee's half marathon a month goal, so now I'm considering it. But... not if it means running a zillion laps in a gym, etc. I definitely want to improve my time in the half. Depending on your schedule (& pace), maybe I can pace you in half or part of a full. And Krav Maga will be awesome! Yay! Dave: don't joke. I need pacers. I'm coming after you for that. What halfs are on your schedule so far? I'm not a huge Bikram fan, but I am SO JEALOUS of your NYE yoga class. I would probably totally do that just to spend the first moments of the new year in a totally relaxed state. LOVE IT. I think year-long challenges are somewhat overrated. If there's something you really want to do and it can be made into a challenge? Then that's great. But if you have to look for one, then I think it's best to just skip it, since you won't really be all that into it. Also, you should totally come out to Seattle to train. We have hills and trails in abundance. I've been looking for a challenge too, because I have an unhealthy preoccupation with them. I also feel like I need some direction, and feeling particularly directionless lately has not helped! Let me know if you think of something. Maybe it should be for us to run 3 mornings a week or something. Enjoy the Bikram class, that sounds like fun! That's cool, I didn't even know they had stage races for running. Cool.